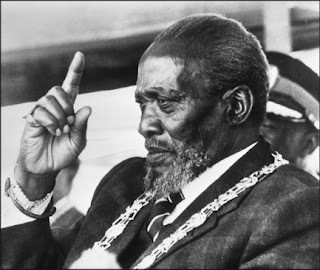 Wednesday August 22, 2018 - Former President Daniel Arap Moi’s Press Secretary, Lee Njiru, has revealed how the late Mzee Jomo Kenyatta was abandoned by his aides moments before he collapsed at State House, Mombasa, on August 22, 1978. In an exclusive interview with a major daily on Tuesday, Lee Njiru who was then a young information officer at State House, Mombasa, revealed how Kenyatta’s close friends abandoned him during the final hours leading to his collapse at State House, Mombasa. According to Njiru, a year before his death, Kenyatta had become increasingly feeble, his speech was incoherent and almost senile. But what he believes eventually took Kenyatta to the grave was neglect from corrupt aides whose focus was on succession, wealth and all the fine things of life. “During this hour of need, Mzee Kenyatta was abandoned and neglected by his aides and top advisors whose unbridled greed for power, property and money was their propulsion force,” Njiru opened up after 40 years of Mzee’s death. He explicitly names the then Minister of State in the Office of the President, Mbiyu Koinange, who ironically was also Kenyatta's brother in law, then Coast PC, Eliud Mahihu, and State House Comptroller, Alexander Gitau.